Wilhelm Furtwaengler was one of the most the dominant figures in Central European music between the wars, enjoying spells as conductor of the Berlin and Vienna Philharmonics and the Berlin Opera House. However, his decision to live and work in Nazi Germany has clouded his achievement, and he was branded a collaborator, despite the fact that he helped hundreds of people to flee the regime. This new biography aims to balance the account, and in the light of the renewed popularity of Furtwaengler's recordings, examines his musical legacy and his influence on many of today's leading conductors. About the Author Sam H. Shirakawa is a writer and filmmaker. 6. 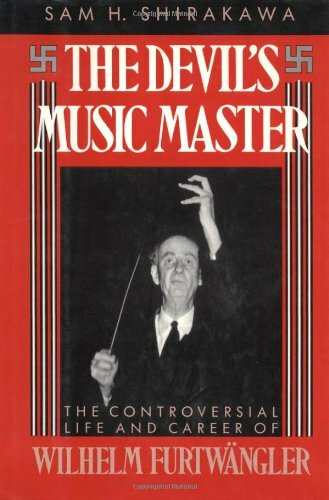 The Devil's Music Master: The Controversial Life and Career of Wilhelm Furtwangler Shirakawa, Sam H.